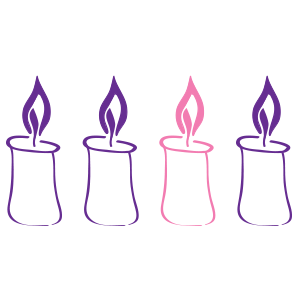 The Gospel Notes for the Fourth Sunday of Advent from the Lutheran Service Book’s One-Year Lectionary is now available. It is available in two versions this year — to cover the alternate reading. You may download the notes for John 19: 1-28 as the Color PDF, the Black and White PDF, the Bi-Fold Color PDF, the Bi-Fold Black and White PDF, the Legal Half-Page PDF, or the Legal Black and White PDF. You may download the notes for Luke 1:39-56 as the Color PDF, the Black and White PDF, the Bi-Fold Color PDF, the Bi-Fold Black and White PDF, the Legal Half-Page PDF, or the Legal Black and White PDF. by: Rev. Roberto E. Rojas, Jr.
Ps. 40:17b — You are my help an my deliverer; do not delay, O my God! John the Apostle around AD 90. This is the Testimony of John the Baptist concerning Jesus the Christ (John 1:19-28). You may download the readings using the links at the top of this page. Progressively generate future-shaping sense of belonging.